Termite damage sometimes appears similar to water damage. Outward signs of termite damage include buckling wood, swollen floors and ceilings, areas that appear to be suffering from slight water damage and visible mazes within walls or furniture. We are here to effectively exterminate termites for once and for all. 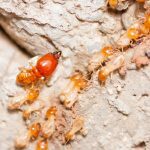 Our company provides the most advanced termite control services in Illawarra and we can ensure the end of your problem. All City Pest Management Illawarra understands the impact termites can have on your assets or business. Our key philosophy is reducing your distress as fast as possible with our advanced termite control services. Termites can damage properties and If not dealt with immediately, reparation can be costly. Rest assured our termite inspectors are here to help and produce successful termite free results. For advanced termite control in Illawarra, All City Pest Management Illawarra should be your first point of contact. Our Termite Control Illawarra provides immediate assistance to find and eradicate termite. 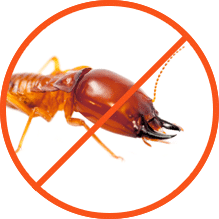 A worry for many when contacting termite control services Illawarra is the fact that repellents themselves can be harmful. Here at All City Pest Management Illawarra however we use 100% natural repellents with our advanced termite control and treatment. Our methods are completely secure and efficient. There is no need to worry about any side effects impacting your clients, children or pets safety.